Icicles may look beautiful, but there's nothing worse for your home’s gutters, roofing or heating efficiency. Take heed of this important wintertime alert! The ice build-up on a roof is a cue to call a roofing expert for a proper assessment. Icicles and ice dams (a thick block of ice that has built up against the structure) can pull off gutters and loosen roofing. Icicles and ice dams cause water damage inside the home—paint peeling, walls sagging and floors buckling. The ultimate damage caused by ice dams and icicles is when attic insulation becomes saturated with water. Wet attic insulation loses its insulation ability (R-Value) and has the disturbing potential to become a breeding ground for mold and mildew. First, heat rises and collects in the attic where poor ventilation, air leakage and inadequate insulation exists. Second, the snow melts on the roof and this moisture moves downward. Then, as the melt gravitates toward cold eaves and gutters, an ice dam forms. The ice builds up, trapping water behind it. 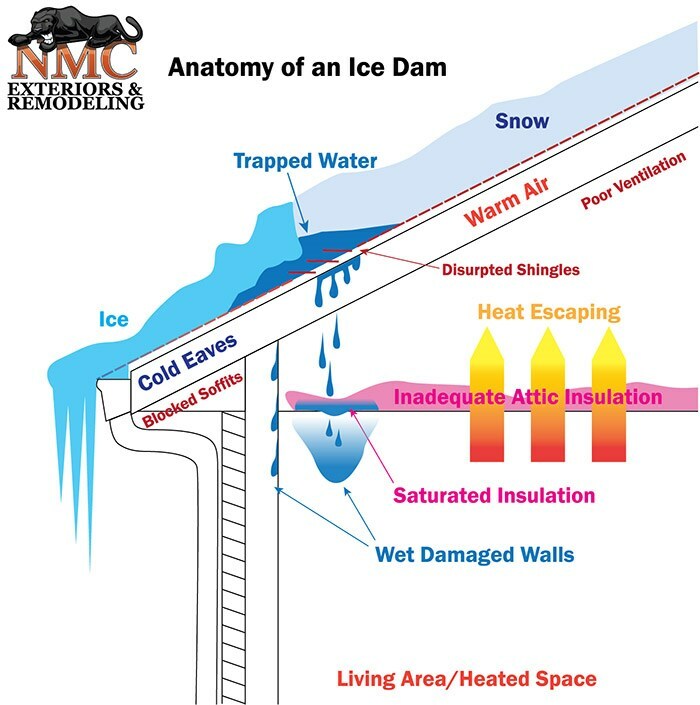 If the ice dam has disrupted any shingles, the water behind the ice dam has no where else to go but down into the home. 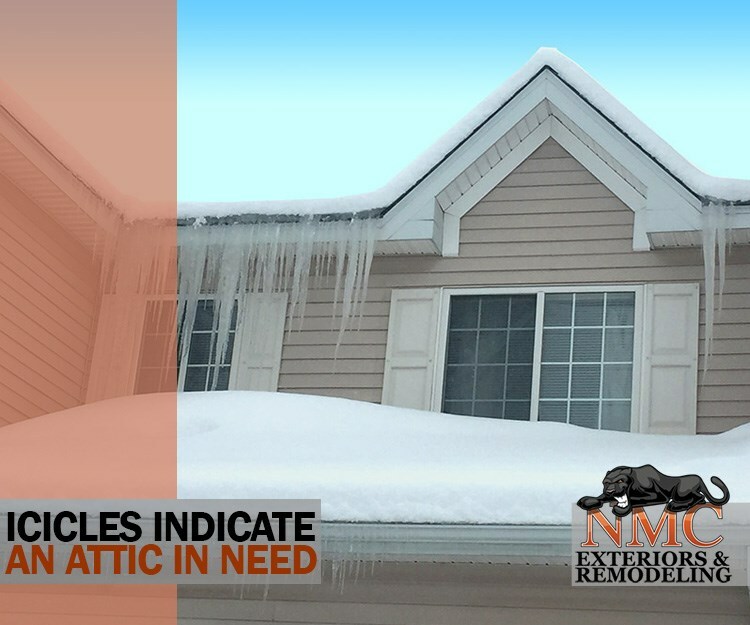 Now that it's understood how icicles and ice dams are a tell-tale sign that the roof and attic needs TLC, please seek advice from a knowledgeable exterior contractor. In other words, please avoid dangerous treatments that risk injury and/or exacerbate the roof-attic condition to be a worse situation to contend with in the future. Some quick-patch measures to avoid include: heated cables along the gutter line and directing a fan at an interior leak to freeze it. Also, please do not push snow off the roof or hack away at icicles. Using tools to break ice dam increases the chances of serious bodily injury and the attack motion typically damages the shingles, sheathing and gutters. NMC understands that the home is a family’s number-one investment. 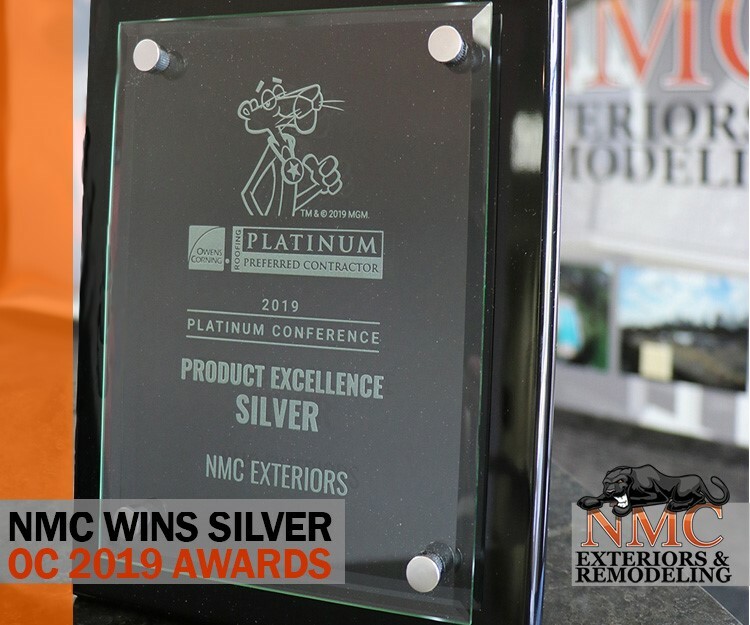 There’s only one way to winterize wisely: Contact NMC Exteriors to experience the NMC Difference at 763-260-8537. 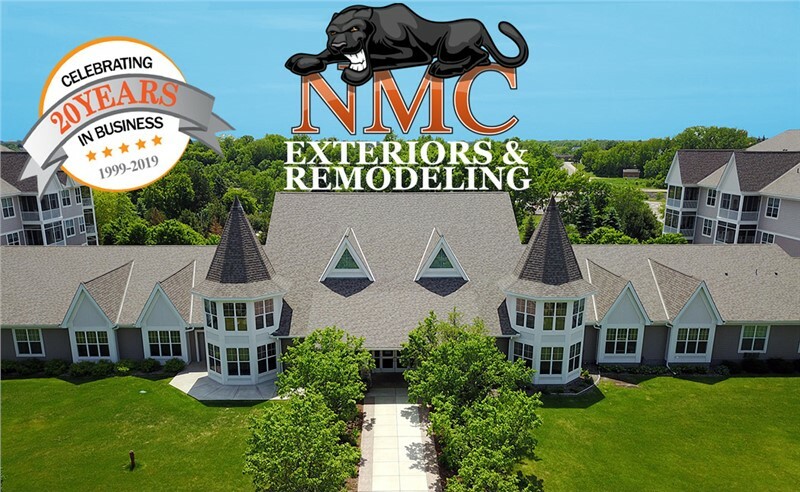 A NMC certified project manager will partner with the homeowner for the entire repair process. After the appointment and assessment, NMC will share findings and suggest solutions so decisions can be made comfortably. NMC offers cost-effective plans, financing and professional teams to perform projects to specification. 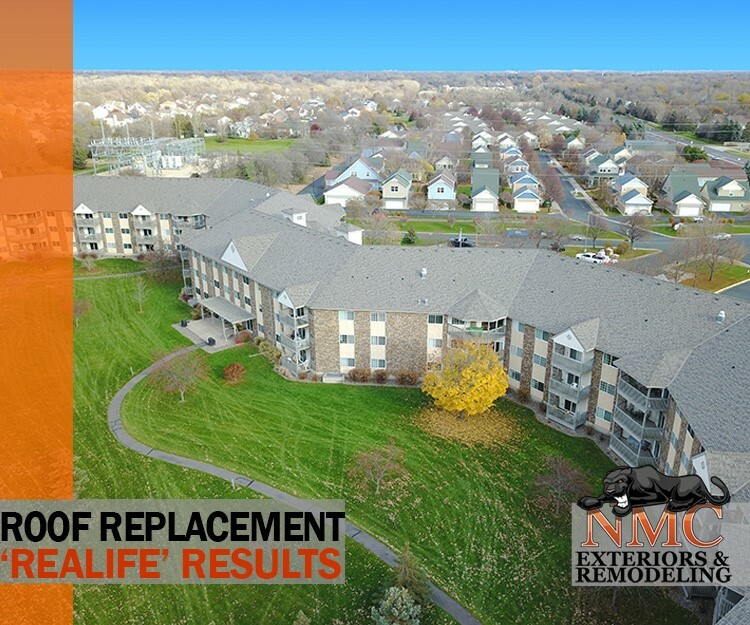 Once NMC's crews have reached completion and the homeowner is satisfied, the roof-system will provide excellent protection, proper ventilation, home energy efficiencies and will eliminate pesky ice dams.